Two Bags Are Better Than One! Here’s a great quick tip! At CMP we love getting ideas and tips from our customers in the field. 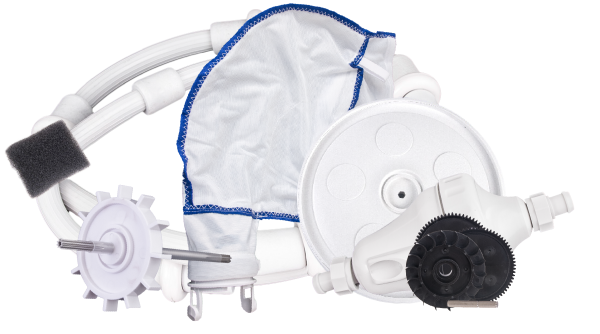 One of our favorite tips is using a “two bag” system with automatic pool cleaners. This is a tip we’ve heard from several pool pros, so we’re not even sure where we picked it up first. But it’s a great one! According to multiple pool pros their number one tip for easily emptying a cleaner bag is to use a two bag system. One of the biggest pain points with automatic cleaners is emptying out the dirty bag. Pool gunk is wet, clumpy and probably a little gross. Even when the bag is wide open the wet debris tends to stick inside. It can be very difficult to really get the bag clean again, even with rinsing it off. We’ve also found that opening and closing a velcro bag while it’s wet causes the bag to wear out faster. Here’s another secret: this is a great method for Pool Pros as well. For regular service, you can save a ton of time by encouraging your customers to purchase a second cleaner bag. At your next cleaning appointment just set the dirty bag aside and swap in a clean bag. At the next visit just grab the now dry bag, empty and repeat! This method is easier, better for the velcro and reduces the “ick” factor of emptying the cleaner bag. 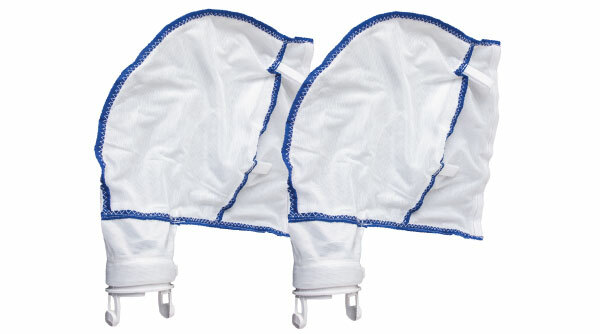 CMP now offers a 280 Replacement Bag Two-Pack especially for this purpose.